Slice an apple into wedges and trim the core. 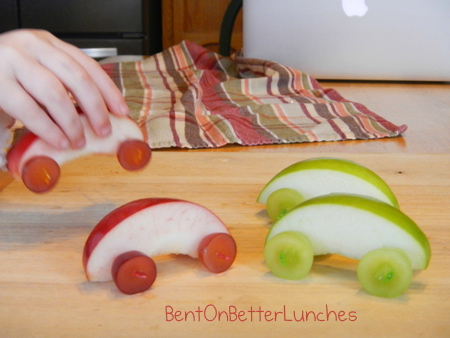 For each apple wedge, slice 2 grapes in half, width wise. Push the pick through the sliced side of one grape half, then through one end of the apple, then finish with the other grape half, sliced side out.